Jon Henderson has written about football as a journalist and author for more than fifty years. He progressed from covering Rushden Town for the Northants Evening Telegraph in the 1960s to filing stories for Reuters on Diego Maradona's antics in winning the World Cup for Argentina in 1986. Since then he has written on football for The Observer and Guardian and his biography of Stanley Matthews was shortlisted for Football Book of the Year in 2013. 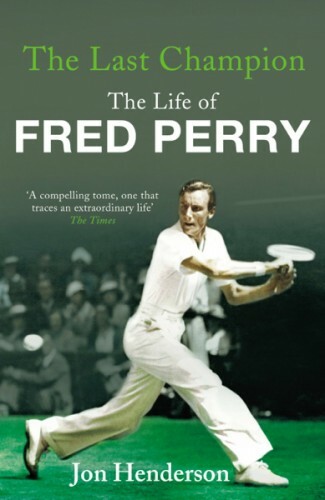 His other books include a biography of the tennis champion Fred Perry, which was shortlisted for Sports Biography of the Year in 2009 and was a 'Book of the Week' on BBC Radio 4. Long before perma-tanned football agents and TV mega-rights ushered in the age of the multi-millionaire player, footballers' wages were capped even the game's biggest names earned barely more than a plumber or electrician. Footballing legends like Sir Tom Finney and Sir Stanley Matthews shared a bond of borderline penury with the huge crowds they entertained on Saturday afternoons, often on pitches that were a world away from the pristine lawns of the game s modern era. Instead of the gleaming, expensive sports cars driven by today s top players, the stars of yesteryear travelled to matches on public transport and, after the game, returned to homes every bit as modest as those of their supporters. Players and fans would even sometimes be next-door neighbours in a street of working-class terraced houses. 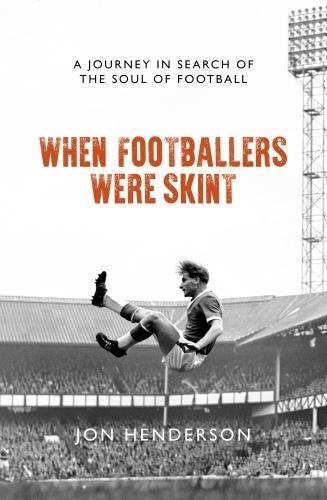 Based on the first-hand accounts of players from a fast-disappearing generation, When Footballers Were Skint relates the fascinating story of a truly great sporting era. All of us who call ourselves football fans owe the book's multifarious cast our thanks for bequeathing our national game such a rich and deeply human heritage. Stanley Matthews is one of the most famous footballers ever to play the beautiful game. Nicknamed 'The Wizard of Dribble' for his deadly skills, he made fools of defenders around the world. He played 84 matches for England in a career that spanned an extraordinary 33 years and such was his popularity that attendance for his club teams, Stoke City and Blackpool, more than doubled when he played. He was a global superstar decades before Beckham, Ronaldo or Messi, yet what do we really know about this legendary man? This first full and objective biography looks beyond the public face of the 'first gentleman of soccer' to explore a life not without controversy. This was a player who clashed with his managers, who felt undervalued in the age of the maximum wage - leading to a charge of blackmarketeering - and who was criticised for his showmanship and perceived lack of team spirit. There were private dramas too - an unhappy first marriage that produced two beloved children, and a second, to the love of his life, a Czech with a dark secret even Matthews never knew and which acclaimed biographer Jon Henderson reveals for the first time. 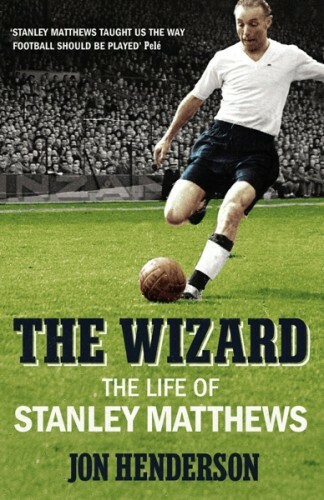 Recreating the magic on the pitch and analyzing the key moments that made Matthews great, this is a meticulously researched story of a national hero and a fascinating insight into English football in the 20th century. Wimbledon champion three times in the 1930s, Fred Perry is the finest tennis player that Britain has ever produced. Less well known is that Perry came from an unprivileged background and found himself - despite his supreme talent - an outsider in a sport that looked down on the advancement of the under-classes. Not afraid to ruffle a few establishment feathers, Perry discarded his hallowed amateur status in 1936 and turned professional. He compounded this perceived sin by taking out US citizenship when the Second World War broke out. He embraced his new country wholeheartedly. From Hollywood to Florida, Perry led a scandalous private life, marrying four times and charming himself into the beds of numerous Hollywood starlets and beautiful models along the way. The Last Champion is the first biography of Fred Perry. Through extensive research and revealing interviews, Jon Henderson, tennis correspondent of the Observer, brilliantly tells the remarkable story of this remarkable man. 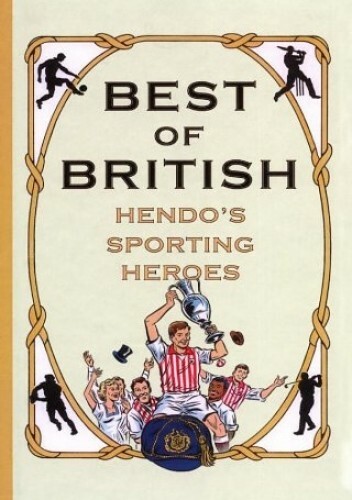 Best of British is a celebration of the nation's greatest 100 sporting heroes, from Henry VIII to Red Rum, Roy of the Rovers to Torvill and Dean. Jon Henderson has combed through the annals of our glorious and not so glorious past to bring us the geniuses and the eccentrics, the national treasures and the villains who together have shaped our present. Trueman and W. G., Best and Edwards, racing drivers, jockeys, rowers - just what does it take to make a sporting superhero? Hendo's 100 reveals all. Opinionated and provocative, his witty character studies - accompanied by stylish illustrations - capture the essence of his subjects' greatness, re-evaluating the famous and rescuing the forgotten. But when there's a cast of thousands to choose from, and hundreds of years of history to explore, who will make the cut for the most heroic of the heroic? Find out, in Best of British.